Do We Frown Because We’re Depressed? Guest Blogger and Botox and depression researcher, Michele Magid, MD, (University of Texas, Southwestern) shares her insight on the phenomenon Psychiatrists around the globe are pondering in this blog post, “Do We Frown Because We’re Depressed, Or Are We Depressed Because We Frown? According to evolutionary theorist Charles Darwin and philosopher/psychologist William James, the relationship is causative—we are happy because we smile, we are sorry because we cry, and we are angry because we clench our teeth, not the other way around.3,4 In other words, changes in facial expression create and enhance emotion and are not merely a consequence of that emotion. If facial expression can influence emotional experience, then what would happen if depressed patients were no longer able to frown? Three recent studies5–7 (with sample sizes of 30 to 85) set out to answer this question. Male and female participants with major depressive disorder were injected with botulinum toxin A (BTA) into the forehead region, causing a reduced ability to frown (ie, paralysis of the corrugator and procerus muscles, which control expressions of fear, anxiety, and anguish). In all 3 double-blind, placebo-controlled trials, BTA was associated with a statistically significant reduction in depressive symptoms compared with placebo. More interestingly, in our 24-week trial,7 the antidepressant effects of BTA continued even after the cosmetic effects had worn off. If botulinum toxin in the frown muscles improves symptoms of depression, why? Some may argue that looking aesthetically better leads to feeling better, but our study7 excluded those with concern about their frown lines. Others argue that the more pleasant and less depressed we look, the more inviting we are to others, leading to improved social interactions and, subsequently, improved mood. These arguments, however, do not explain why mood continues to improve even when the BTA is no longer cosmetically active. A final argument is that BTA in the forehead alters peripheral feedback to the brain. A recent study8 showed that people who were given BTA in the frown muscles had reduced activity in the left amygdala on functional magnetic resonance imaging (fMRI) when mimicking angry facial expressions. In theory, paralysis of the forehead muscles reduces sensory information from the trigeminal tract to the brainstem, which then alters activity between the brainstem and left amygdala. These findings are important as hyperactivity in the left amygdala has been linked to anxiety, depression, posttraumatic stress disorder, and heightened fear responses.9 In one study,10 20 depressed patients exhibited exaggerated left amygdala activity when shown pictures of emotional faces, especially fearful faces. After antidepressant treatment, left amygdala hyperactivity returned to normal. Is botulinum toxin a viable treatment option for major depressive disorder? 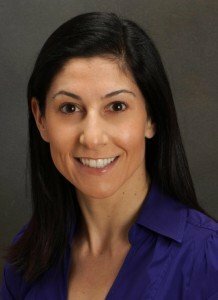 Regardless of whether one subscribes to a more behavioral or biological mechanism of action, further trials are warranted to determine if BTA is indeed a viable therapeutic option for depression and if specific patient populations are more likely to respond (eg, a recent study11 showed that higher agitation scores are predictive of response). 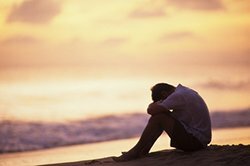 If larger trials can replicate the findings of the 3 small trials, BTA may become a novel treatment in the management of major depressive disorder. Financial disclosure: Dr Magid received grant/research support from the Brain and Behavior Institute, Young Investigator Award, to fund this study. After completion and as a result of the study, Dr. Magid became a consultant for Allergan. 1. Gutman R. The hidden power of smiling. TED Talks. March 2011.http://www.ted.com/talks/ron_gutman_the_hidden_power_of_smiling. 2. Grohol J. Ron Gutman: smiling while confusing correlation with causation.http://psychcentral.com/blog/archives/2012/08/19/ron-gutman-smiling-while-confusing-correlation-with-causation/. 3. Darwin, C. The Expression of the Emotions in Man and Animals. London, England: John Murray; 1872. 4. James, William. The Principles of Psychology. New York, NY: Henry Holt & Co; 1890.